When I pray, I often catch myself simply wanting God to do what I want, not necessarily what is best or most expedient for those around me or for the good of the Kingdom. I don't like to hear that God told Paul that he had asked enough about deliverance from his problem. 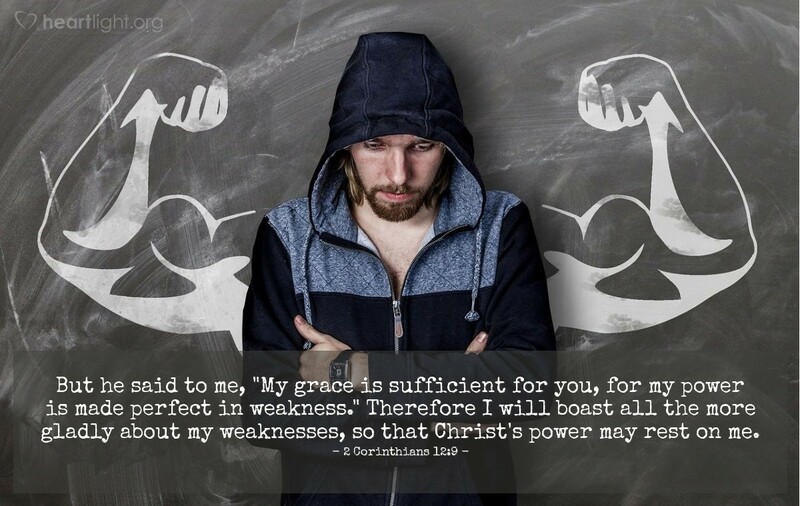 Instead, Paul needed to learn that God's gracious strength and mercy were enough to sustain him even in trial. While I know I need to learn this same lesson, it is daunting. I want God to keep things nice and tidy for me. But then I remember I am a follower of Christ. If I am to become like my Savior, then I have to let go of my requirements on God's answers and open up to God's work to redeem others through me, no matter the personal cost. Only then can I truly know that his grace is sufficient for me! Patient and loving Shepherd, guard my heart, from discouragement in tough times and guard it, from arrogance in good times. I know that without you I have nothing that is permanent. Thanks for giving me a permanent, steadfast hope of heaven with you, because of your grace and strength shared with me. In the name of Jesus, I pray. Amen.